Have you heard of the break-through therapy, Eye Movement Desensitization, and Reprocessing (EMDR)? American psychologist, Francine Shapiro developed it in the early 1990s. 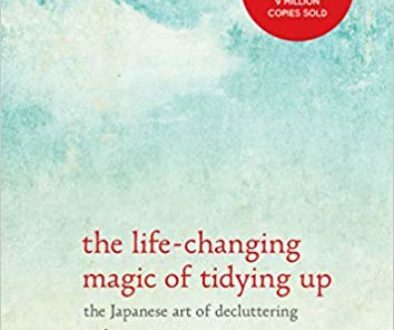 In 2012 Shapiro released a self-help book to help the public access her theory and processes. 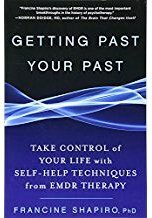 In Getting Past Your Past: Take Control of Your Life with Self-Help Techniques from EMDR, Shapiro simplifies her and her research team’s key concepts and processes. In 2001 I was trained in EMDR basics. In 2015 I took an online program. 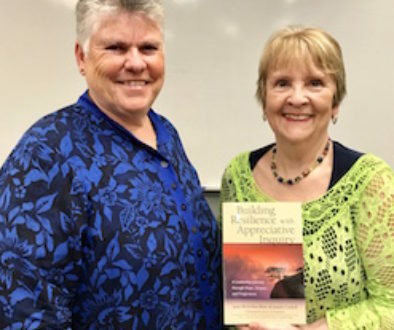 Then, recently I dived into six days of a refresher program from Canada’s EMDR trainer, Sue Genest. Shapiro’s work has spread across the world helping over two million people. In Canada alone, there are over 625 trained and registered EMDR therapists. EMDR is known to effectively address traumatic and painful experiences such as undue anxiety, anger, sadness, fear, depression, sleep issues and disturbing flashbacks. Typically, it requires fewer sessions than traditional therapies to support a client to reach a resolution. EMDR incorporates current brain research, core beliefs, body awareness, and, mindfulness. For sure, you know that when you are triggered into a fight, flight or freeze response that your brain functioning is hijacked. You are unable to think clearly or problem solve. You are emotionally pulled back to a painful and past experience. EMDR helps your brain complete and process those past disturbing events. Consequently, you can be more present in the moment. Living in continual stress is unnecessary and life-threatening. Our personal struggles, small and significant, are influenced by our stored memories of past events. The younger we experienced painful events, the more they are unconscious. Many of us are running our lives on automatic pilot. We are stuck or overwhelmed with unprocessed thoughts, beliefs, and emotions from the past. Our brains, minds, and bodies are connected. We can strengthen the memory of a Safe or Calm Place including its sounds, image, and feel. Then, in aroused states, we can choose or call upon that comforting memory to calm ourselves. We can take control of our lives. We are whole and resourceful humans. We can change our brains’ wiring so we experience appropriate emotional states and overall well-being. The truth is we all suffer at one time or another. Situations arise all the time that affect us negatively. But when we continue to have pain long after the experience has passed, it is because the hardwiring of our brains influences our minds. Happily, appropriately stored memories are also the basis of joy and mental health. It’s useful to remember that whatever the persistent negative emotion, belief or behavior that has been bothering, it’s not the cause of suffering—it’s the symptom. The bottom line is that regardless of how we were brought up, we are not victims and our problems are not a sign of weakness. While Getting Past Your Past provides more than significant information on how our brains can help us heal our wounds. It is filled with practical exercises and strategies for us to better manage our relationship conflicts, anger, anxiety, and self-critical thoughts. Read it to manage your small internal disturbances. For habitual patterns read it to prepare yourself for six or more counseling sessions with a trained EMDR therapist. NOTE: I am certified in EMDR. Email me if you want to discuss a complimentary session. Thank you for this review. I have never read a book review before and I found it quite useful. I like that you added key quotes as it gives me a feel for the book should I decide to read it. The concepts are also intriguing – I have heard of the mind-body connection before and I am interested in learning more about brain rewiring as I know I have been holding myself back from greater things because of past traumas and deeply rooted beliefs about myself. You are welcome, Allissa. Thank you, for reading and leaving your comment. I love quotations as they are like nuggets of wisdom. Brain rewiring is fascinating. Basically what we repeat, whether it is thinking or doing, creates neural pathways. When those neural pathways become strong the thoughts and behaviours become habituated, often unconsciously. That is good news for brushing our teeth and bad news if we have negative self-talk. Rewiring the brain requires first becoming aware of our patterns, then discovering the core beliefs that support patterns, and the emotions involved. Often there is an old key event involved. At that time, you were not in control, nor had a choice. Your body went on alert with your nervous system firing but you did not have the opportunity to come to a place of resolution and calm. So you end up carrying the trauma and emotions. It’s like they are trapped. As I read your message I feel heartened that you are aware that you have past trauma and have some unhelpful, maybe painful beliefs. You are on the right track! With commitment you can start to uncover your patterns, those old traumatic events, the corresponding beliefs, and the blocked emotions. You will unravel yourself to find the wonder of YOU! The truth of you is that you are lovable, capable (with unique gifts), and resilient to your challenges. Consider finding a qualified therapist with training in EMDR. You deserve skilled support in helping you re-wire your brain and release the trauma held in your body. If you would like to read more, consider getting a copy of Shapiro’s Getting Past Your Past. I also recommend Waking the Tiger: Healing Trauma by Dr. Peter Levine. You could also look at online videos by Peter Levine. Levine’s video about “Flipping Your Lid” can be easily found through google! Found this to be a very helpful and interesting read. Thanks for sharing and I am looking forward to seeing more articles like this!! Thank you, for your acknowledgment. I am glad to read that you found the book review of Getting Past Your Past helpful. There are other book reviews by me available. Go to http://solutionsforresilience.com/blog and on the right side of the page, click on the category, Resiliency Books.